It is inevitable that the iron does have many benefits for the human body. The main benefit that iron plays an important role in growth and development and maintain a healthy body. More details will be discussed later. The role and benefits can not be separated from the function of the iron itself in our body which helps metabolize proteins, play a role in the production of hemoglobin and red blood cells. Other benefits of iron which increase the body that makes it tough prisoners in the fight against infection. In contrast, iron deficiency will make your body lose, because it can cause diseases such as iron deficiency anemia, chronic anemia, impaired growth and development of children. It is the function and benefits of the most important iron. Hemoglobin (Hb) is the main carrier of oxygen to the entire body and gives the red color to the erythrocytes (red blood cells). Hemoglobin is very important and is always produced by the human body because it tends to lose blood through a variety of causes such as the destruction of red blood cells damaged because it was time, through cuts, wounds both inside and outside. Especially, the women will be a lot of blood loss each month during the menstrual period, which is why women are more at risk for anemia than men. If a person is iron deficient so that hemoglobin is low, it can lead to iron deficiency anemia. Iron is a very important benefit to working muscles, because iron is an important element which is in the form of muscle myoglobin. Myoglobin carries oxygen from hemoglobin and diffuses throughout muscle cells. Without iron, the muscle will lose strength and elasticity; so that muscle weakness is one of the most obvious signs of anemia due to iron deficiency. Increased brain development is also one of the many benefits of iron. Because the supply of oxygen in the blood helped by iron and of course this is very important because the brain uses about 20% of blood oxygen. Thus iron is directly related to health and brain function. This will support the cognitive activity and help to create new neural pathways to prevent cognitive disorders such as dementia and Alzheimer's disease. Therefore, for those who fulfilled the needs of iron, and will be easier to concentrate. Iron is an important facilitator to regulate body temperature. Maintain body temperature remains stable will enable enzymatic and metabolic processes can occur optimally at the appropriate temperature. 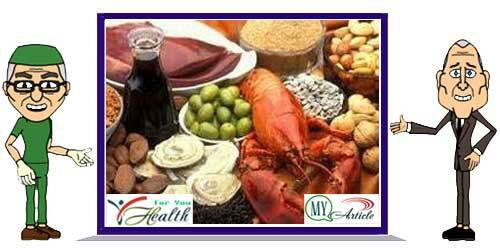 Other functions of iron is an important part of energy metabolism in the human body. It involves the process of how the energy extracted from food consumed and then distributed throughout the body. Iron is also an important part of various enzymatic systems and other important constituents as found in myoglobin, cytochrome and catalase. Without this, a number of organ systems will be hampered and even stop completely.